This internet scavenger hunt is a great tool to use as an introduction to Of Mice and Men. The questions cover the author's life and the time period. It includes 30 questions. 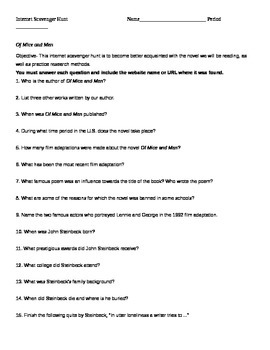 I have provided an answer key to the first 18 answers.